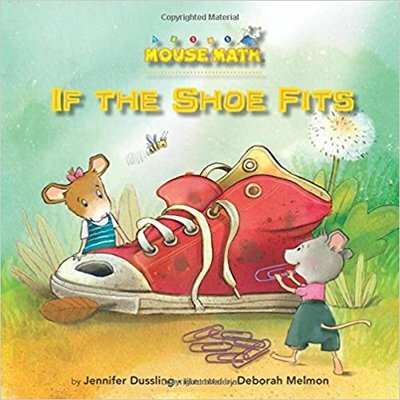 Jennifer Dussling Arena (Florida) has authored over 30 books for young children, including four of our favourite titles with mathematical connections, namely '100 Snowmen' (2013), published by Amazon's Two Lions (USA), as well as 'If the Shoe Fits' (2015), 'Fair is Fair!' 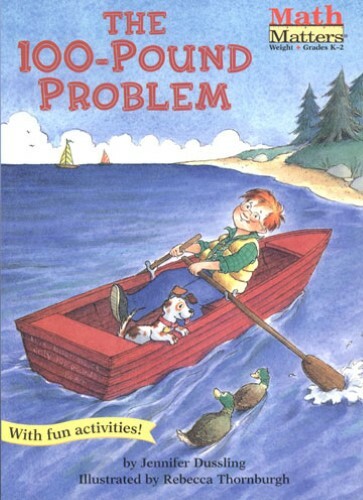 (2003) and 'The 100-Pound Problem' (2000), all of which are published by Kane Press (USA). We hope you enjoy reading Jennifer sharing her experience of working on these incredible mathematical story projects with you! I had a big family - seven brothers and sisters! A big family makes everyday life into a math exercise: How many socks do I have to fold in the wash each week? If each person wants three tacos for dinner, how many taco shells should I put on the table? I’ve been part of book publishing on many different sides, as an editor, as a writer, and as a bookseller. My main career until a few years ago was as an editor for publishers such as Putnam, Random House, and Golden Books. Recently I moved to Florida, which is like living in a giant outdoor zoo. I see ibis, herons, owls, fish, pelicans, manta rays, snakes, and lizards, all right by my home. Sometimes when I’m out walking the dog, I even see manatees and dolphins swimming in the river! I was okay at Math in grade school. Once I got older, once the letters switched to numbers in Algebra, I suddenly did better. It doesn’t make any sense, except if you view it retroactively through the lens of a writer - of course I’d like letters! When Kane Press launched its Math Matters series, they asked me to contribute to it as a writer. That was when I wrote ‘The 100-Pound Problem’ and ‘Fair Is Fair!’. I really enjoyed combining two skills that many people think of as opposite - left-brain Math and right-brain writing. ​For ‘100 Snowmen’, I kept hearing about classrooms marking the 100th Day of School, and it made me want to write a story to tie into that. I just loved the idea of a math-based celebration! I was an avid reader as a kid and learned many things from fiction that I might not have sought out a nonfiction book for. I learned how, in a pinch, pioneers could grind wheat into flour in a coffee mill from the Little House on the Prairie books. I got a background in Arthurian mythology from ‘The Once and Future King’. And I learned how to forge signatures from Trixie Belden (though I never used that for nefarious purposes, I swear). ​Many writers are way more qualified than I am to write nonfiction math concept books, but after twenty years as a writer, I’m confident in my ability to tell a good story, to create interesting characters, and to help readers engage with an educational topic in a fun way. It helps when there is an assigned topic, such as when Kane Press asked me to write a book about bar graphs (which became ‘Fair Is Fair!’). With a topic in mind, you can let your imagination roam, thinking up different scenarios where a kid might be able to use bar graphs. Usually the hardest part is deciding on which story I want to tell because there are always so many possibilities. I’m pretty good at bouncing between real and fantasy. 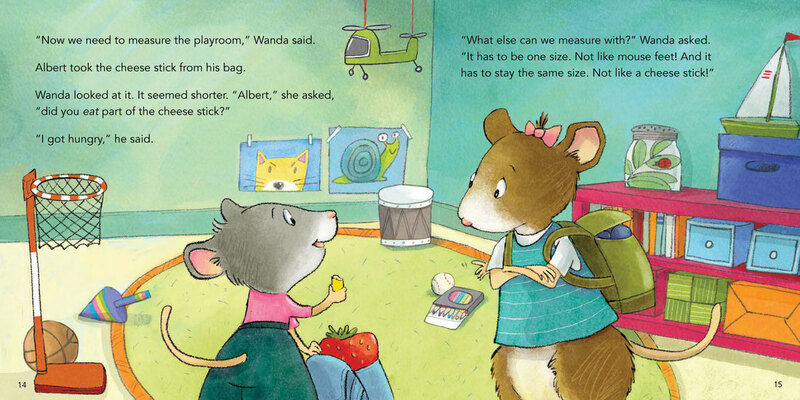 ‘Fair is Fair!’ and ‘The 100-Pound Problem’ are set in the real world, while ‘100 Snowmen’, with its snowmen characters, and ‘If the Shoe Fits’, featuring talking mice, are fantastical. Some kids like real world stories and some like fantasy. Math can work in both settings, so why not give kids more options on how to absorb it? 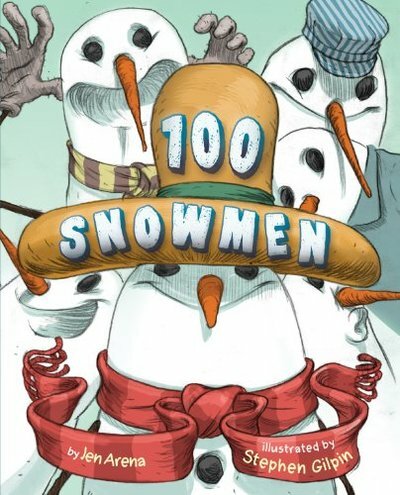 ‘100 Snowmen’ has the most interesting backstory. The title came to me first! (Actually my original title was 100 Flower Girls, until an editor rightly pointed out that the 100th Day of School falls in the middle of winter and flower girls feel more like spring.) With a title like ‘100 Snowmen’, I knew it was going to be a math book and somehow I’d have to squeeze in 100 snowmen. Counting to 100 takes a while, so I started exploring other ways of getting to 100 - adding, multiplying, doubling - until in a flash of inspiration, I realized that if you add 1 + 2 + 3 + 4 + 5 + 6 + 7 + 8 + 9 + 10 + 9 + 8 + 7 + 6 + 5 + 4 + 3 + 2 + 1, it equaled 100! I couldn’t believe it. I double-checked the math many times, and once I was sure, I knew I had the structure for a book. Figuring out the structure of the book was the most challenging part. Picture books usually only have around 24, 32, or 48 pages, so dealing with 100 snowmen was daunting. And I felt bad for whoever was going to illustrate it. If it had a been a straight-up counting book where the illustrator had to show all the snowmen as the book went along, do you know how many he would have had to illustrate? Luckily, I bypassed that with a little math. 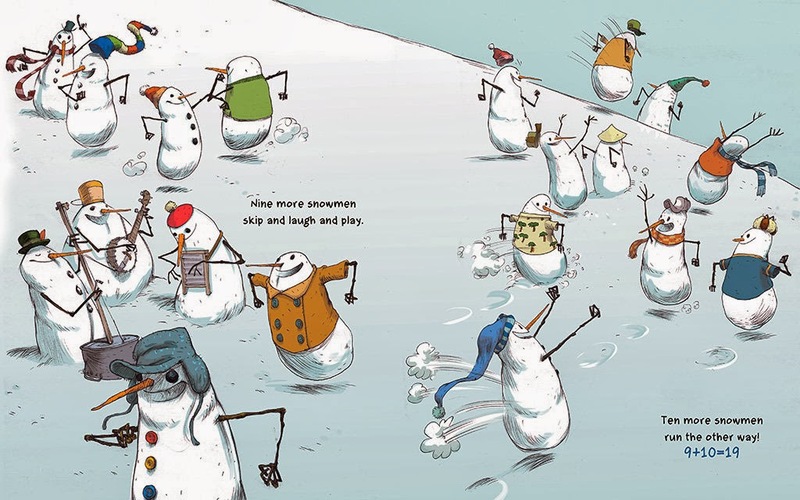 Even so, Stephen Gilpin still had to paint one spread showing all 100 snowmen. Whew! The books Kane Press asked me to write came with a deadline, which is a great motivator. They took about two or three months to write, then a couple of months for revision. ‘100 Snowmen’ took much longer. I think I first wrote a version of it back in 2006. The book came out in 2013. ​Across the sector, it is quite common for authors not to have any say in the illustration process at all. Many authors never even have any direct contacts with their book’s illustrators. What has been your experience on this? Would you prefer authors to be more involved in the illustration process? I’ve always felt very involved in the illustration process. My editors have sent me sketches and final art and asked me to comment on them, for each of my books. Sometimes editors have run illustrators past me to make sure I’m on board with a style before signing up an artist. I feel it’s very important to give an illustrator space to realize his or her vision, too, not just try to impose my ideas on the art. It’s a partnership and the book belongs to both of us! I’ve been an editor for a long time and have worked on many easy-to-read books and picture books. At this point, it’s almost second nature to me to try to simplify words and sentences to make a story more accessible to readers and to make the writing cleaner and more concise. ​Publishers usually have a word count that they are hoping to stick to, which varies from format to format. For a picture book, most publishers are looking for manuscripts under 800 words. For easy-to-reads, it depends on the level. The easiest easy-to-reads are 200 words or fewer, while more complicated ones, like ‘Fair Is Fair!’ or ‘The 100-Pound Problem’, are more like 1,000-1,200 words long. 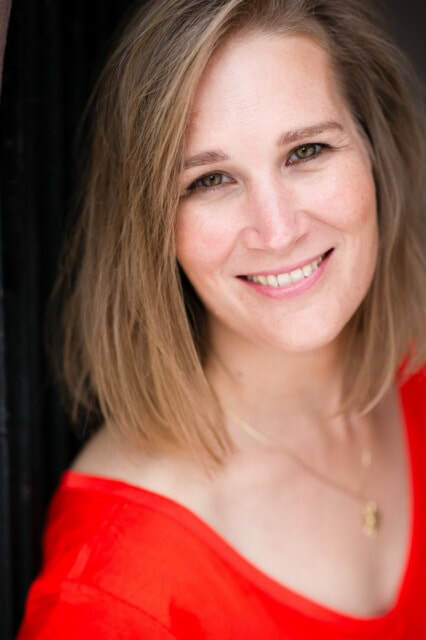 If you’re interested in word counts, you can check out this blog post on the topic from a respected children’s literary agent. As I’ve gotten older and feel more secure in my writing career, I’ve definitely become more assertive about asking publishers to make sure the characters included in my books represent diverse backgrounds. Sometimes, I’ve given the artist not-so-subtle hints, too. 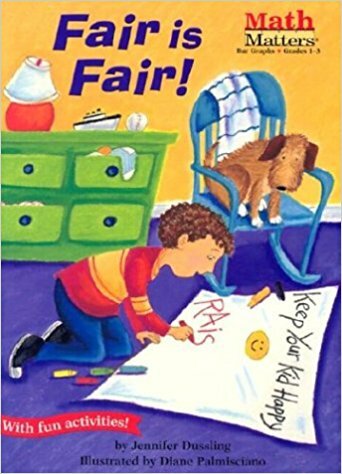 In ‘Fair Is Fair!’, I named the main character “Marco Solano.” I wanted to see more Latino kids represented in the books available on the market, and as an author, I saw a way to help make that happen. I hope so! I don’t have any new ones coming out at the moment, but I have a couple of manuscripts tucked away with math themes that I’d like to get back to. And you never know when the inspiration for a new book will hit. One of my favorite math easy-to-reads is ‘The Dragon’s Scales’ by Sarah Albee. When I was trying to write my first math easy-to-read, I read it over and over. It was my inspiration - it showed me that an author could educate and entertain, using the limited vocabulary and short sentences of a beginning reader. Plus it’s a very satisfying story. I think there are huge opportunities to use graphic novels to engage secondary school students. I recently read a graphic novel for kids called ‘Smash!’, which is about the Large Hadron Collider at Cern in Switzerland. I never took Physics in high school or college and even though I’m married to a Physics professor, it’s not a topic I understand as well as I would like to. The author of ‘Smash!’ did a fantastic job explaining difficult topics, and the illustrations added to my comprehension. This is the type of book I would love to see used more in science and math classrooms, where you don’t typically see much fiction on the bookshelf. ​​What do you think are some of the key benefits of children developing their mathematical understanding through mathematical picture books? Children can have different learning styles. Some learn visually, some learn aurally, some learn through repetition or memorization, and many learn through a combination of these styles. As a visual learner, I was always happy when I saw pictures along with my math problems. It helped me to visualize concrete items in addition to abstract numbers. "Once you’ve written a story about a topic, you, as the writer, feel like you own it on some level. I love the idea of kids owning math that way." Sometimes we think we understand an idea, but when we go to explain it to another person, we realize we just didn’t really understand it as well as we thought we did! Writing is like that. It can help you understand something on a deeper level, and then, by exploring that idea through words, a story, and with pictures, we discover things about it that we weren’t aware of. Once you’ve written a story about a topic, you, as the writer, feel like you own it on some level. I love the idea of kids owning math that way. My advice to parents and teachers is … do your homework! Read as many mathematical picture books as you can. Try to analyze what makes each one work (or not work) for you, both on the level of plot, theme, and character and on the level of writing style. Pay attention to word counts, page turns, points-of-view. Then work very, very hard to craft the best story you can. Join Twitter and follow publishers and agents and writers there. You can get a lot of writing and publishing advice from social networks. "MathsThroughStories.org is a wonderful compilation of resources for teachers, parents, librarians, and educators. I’m particularly thrilled to see so many books on the book list, all organized by topic." MathsThroughStories.org is a wonderful compilation of resources for teachers, parents, librarians, and educators. I’m particularly thrilled to see so many books on the book list, all organized by topic. Sometimes people thank me for writing a math-based book, because they’re under the mistaken impression that books like this aren’t available to help their kids understand a topic they may struggle with. Many authors, illustrators, and publishers have worked to create math-based books for kids - you just need to know where to look for them! Illustrations copyright © 2015 by Deborah Melmon from If the Shoe Fits by Jennifer Dussling Arena. Kane Press. All Rights Reserved. Illustrations copyright © 2013 by Stephen Gilpin from 100 Snowmen by Jennifer Dussling Arena. Two Lions. All Rights Reserved. Have comments about this interview or Jennifer's books?